As avid readers of the blog know, I like to ground these ideas with every day analogies. You can think of a firewall like a door to your home. When the door is opened, people can walk directly into your house. Should you want to keep people out, you close and lock the door. This is the way a firewall works on a server. You place the firewall onto your server to keep intruders from the internet from accessing your data. Firewalls can be either hardware or software based. If you go with a hardware based firewall, the firewall is connected to your switch that allows for traffic to be filtered upon a rule set you determine. You would use a hardware based firewall if you had a dedicated server. A software based firewall is installed within your server. It still blocks traffic based off rule sets you create, but it just does it from within the server and not out in front like a hardware based firewall. Once you do that, you may want to limit the amount of connections each user can make to your server. This can be set by changing CT_Limit in your csf.conf to the number of connections you want each user to be able to make. For example, CT_Limit = “150” will only allow each user to make 150 connections to your server. You may also want to remove port 22 from TCP_IN along with setting your SSHD_config file to do only public_key authentication. Why would you do this? This will lock down your server from the outside and only allow people who have SSH keys installed into your server to gain access using SSH. LATHAM, NEW YORK (November 17th, 2014) – Sustainable IT solutions provider TurnKey Internet, Inc. announced that it has launched their all new high-performance enterprise-class SEO Optimized cPanel Web Hosting platform. 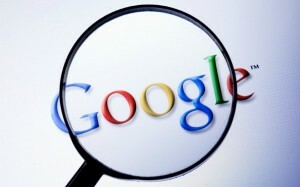 The newly launched cPanel based Search Engine Optimized Web Hosting platform takes performance, speed, and efficiency to a new level, and combines up to 80 Unique Class-C IP Addresses and Secure Socket Layer (SSL) Certificate Technology to give SEO minded web masters and web professionals the greatest possible advantage to high rankings within Google’s search engine system. TurnKey’s SEO Optimized cPanel Web Hosting leverages the combination of ultra fast servers with unique and diverse IPv4 and IPv6 addresses utilizing Secure Socket Layer (SSL) Certificates to provide what Google announced August 6th, 2014 as a key ranking signal for higher search engine results. Google’s announcement of web sites that utilize this technology and methodology to receive preferential rankings within the Google Search Engine system has been leveraged by TurnKey to provide a one-stop complete SEO solution to help web masters and web professionals succeed online. At the core of the cPanel based Search Engine Optimized Web Hosting are TurnKey’s lightning fast servers powered by Intel’s Multi-Core Xeon CPU technology providing up to 32 CPU cores combined with ultra-fast Samsung SSD solid state drives attached via Raid-10 redundant connections. Each cPanel SEO Hosting Server produces over 600,000 DISK IOPS (input/output operations per second) and accesses Gigabit Bandwidth (1000 up x 1000 down) throughput with direct connections into TurnKey’s Juniper powered BGP4 redundant network infrastructure housed within TurnKey Internet’s SSAE 16 Type 2 Certified and ENERGY STAR® designated datacenter in New York. Avid readers of the blog know that I’m a slayer of tickets and protector of the Turnkey Internet realm of support tickets. If you have a support need with your software that you’ve purchased from Turnkey Internet, more than likely, I will be one of the team members who works on your issue. I wanted to write you gentleman and ladies, a post on a support request I see at least once a week if not more. I will start this article off by asking one question. Have you ever been locked out of your house? You walk out the house not thinking about the door, but then you realize that you need to go back into the house to grab your keys. However, the door is locked. What will you do? If you’re a super prepared individual, you may have a spare key laying around somewhere, but if you’re like me, this may not be the case. So, what’s next? Maybe you start thinking, “hmmmm, I wonder if I have any windows unlocked?” You walk around the house hoping, praying, that you have a window unlocked. You soon discover, that you’re a very safety conscious individual and all of your windows are locked? Well, what do you do now? You have no spare key. No windows are unlocked. While that rock on the ground could easily go through the window, do you really want to pay money to get the window repaired? This usually leaves you with no other option then contacting your local locksmith. Pay the ridiculous amount to have them drive out and let you back into your house in a matter of minutes. Now, what if that happens on your server? For the sake of this article, we will assume you have a server, VPS/Dedicated/Cloud, that has cPanel installed. 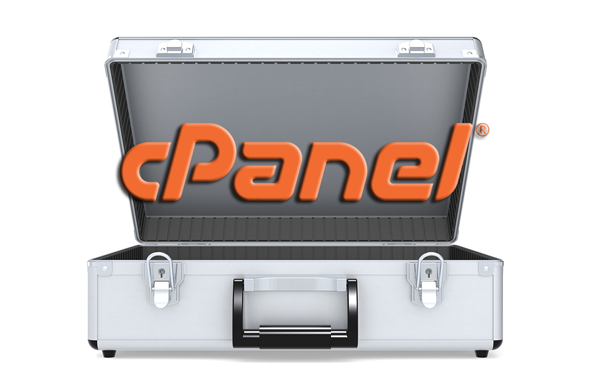 You haven’t changed the password, but all of a sudden you can’t login to your cPanel or WHM anymore. What do you do? Well, if you purchased your services from Turnkey Internet, the quickest way would be to open a support ticket and have one our engineers allow you back in, but what if you’re a do it yourself type of person? Is there a back spare key you can use? Now, just to be clear, I’m not talking about not being able to view your site in a browser, but specifically about your cPanel password, that you’ve not changed, no longer working. You may get the first thought that, holy crap, my account has been hacked. Someone has stolen my password and is slowly but surely stealing all of my data. While yes, this could be a possibility especially if you have an insecure password, e.g. CAT123, but what if you have a secure password. A 12 character password. 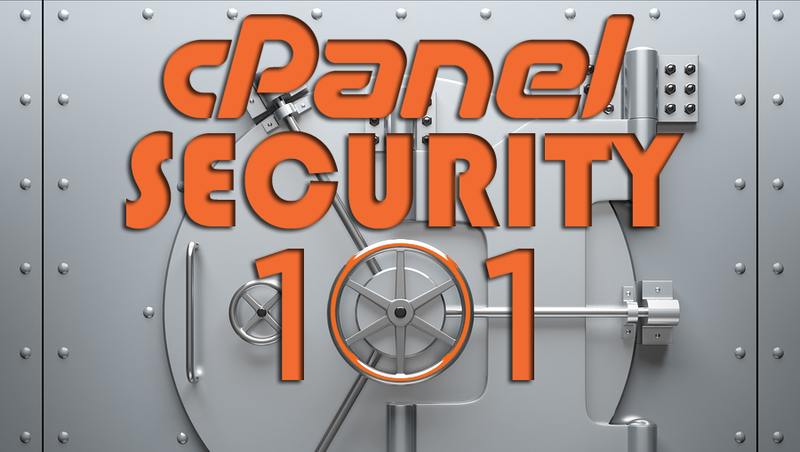 It’s more less likely that your cPanel password has been stolen and more likely that you’re locked on our your account by cPHulk. To summarize that link, brute forcing is when a hacker tries every iteration possible to login to your account. They start with a dictionary of commonly used username and passwords and attempts to login to your account with each one. This is called a brute force attack and is what cPHulk is written to protect against. However, cPHulk can be a bit over zealous at times and end up blocking you out of your own accounts. So, how do you fix? This fix assumes that you have root access to the server and a SSH client such as Putty to access the server.